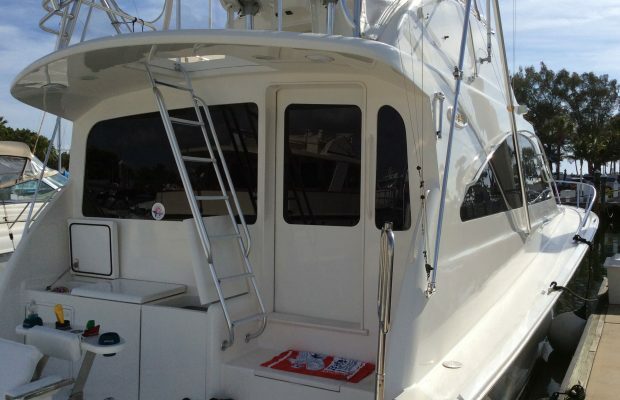 Window Tint Florida is Proud to Serve Brevard County! 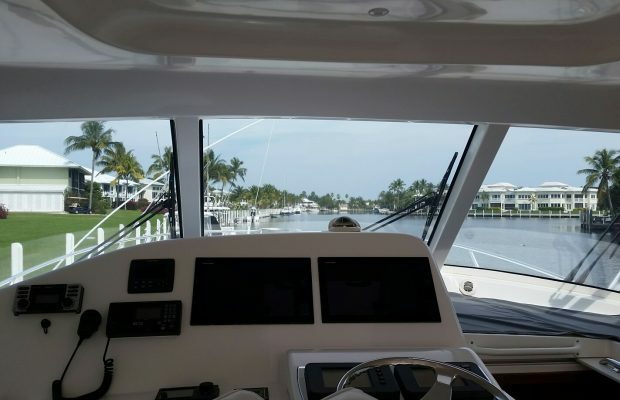 If you’re getting tired of the sun baking your Brevard County home or residence and sending your air conditioning bills higher than a rocket blasting off from the Kennedy Space Center… then call Window Tint Florida today! Window films can do more than you might imagine for your Brevard County home. Most of our Brevard Country customers call us thinking that window tinting is just about more privacy and less hot sunlight, but that’s only a fraction of what our Huper Optik window films can do for your Florida home. 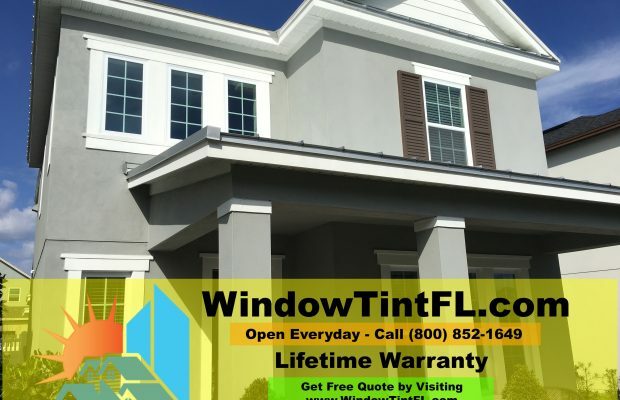 The window tinting installed by the team from Window Tint Florida blocks up to 99% of the thermal infrared rays that heat up your home, drastically lowering those energy bills by keeping thongs cooler and keeping the fans and A/C turned off more. Our window tinting also cuts out most all of the UV rays usually pouring through the windows, protecting skin from damaging ultraviolet light that can cause cancers and protecting flooring, upholstery, and artwork from fading. 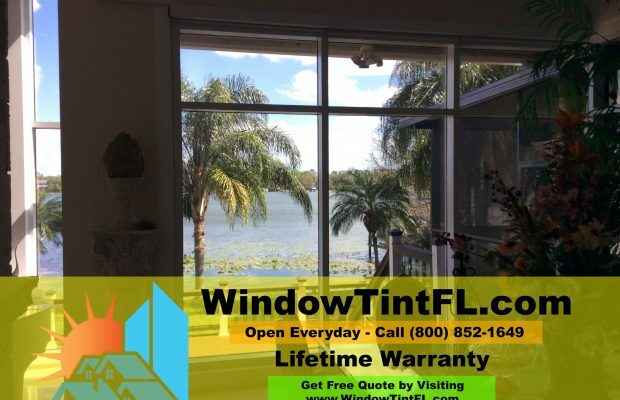 Window Tint Florida we can also tint the windows of your Brevard County residence with privacy window films that will block both the heat and the view of prying eyes. Strangers outside your home won’t be able to see in, but the view from within your residence will remain as clear and lovely as ever. Ask us about our options for making your Brevard County home safer with security window films. These high-tech, durable window films can keep windows from shattering even when attacked by a criminal or struck by flying debris. Protect your home, your possessions, and of course your family by making your windows almost shatterproof, stopping a break-in before it happens and keeping the dangers of the tropical storms that often blow through Brevard County from flooding your home. We stock plural options for decorative window films – you could treat your Brevard County home a “facelift” with frosted window films, mirrored films, colorful window tinting, or even patterned window film. Call us up today to discuss your “window makeover” options. 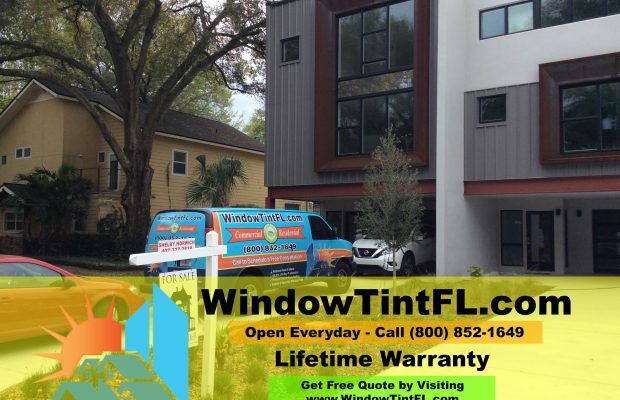 Window Tint Florida offers every one of our potential Brevard County commercial window tinting clients comprehensive free assessments of their window film needs, complete with an explanation of the benefits our solar, privacy, security, and architectural window films offer their business. 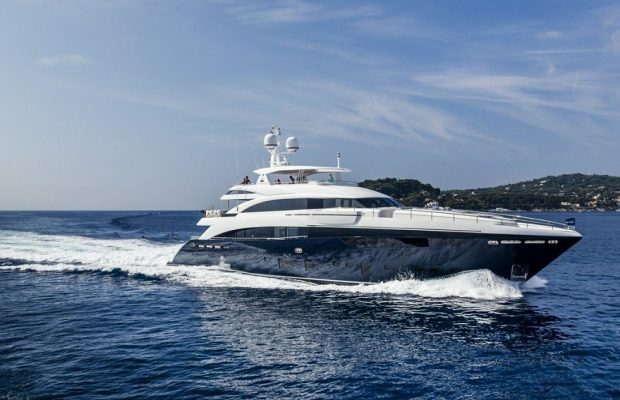 This comes complete with a detailed estimate of your project’s scope and costs. 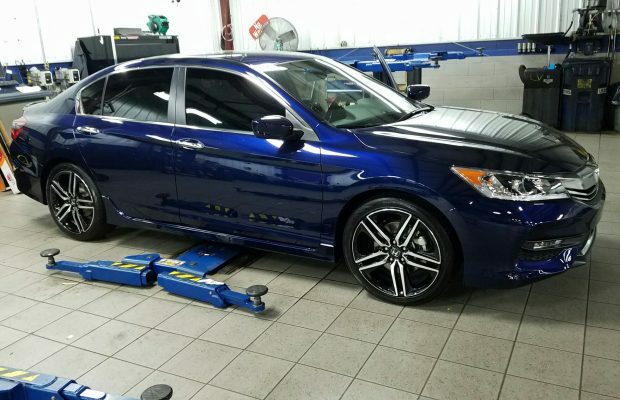 We offer all that because we already boast commercial window tinting clients from Titusville to Cocoa to Palm Bay, and we’ve learned the best way to get more business is not to try gimmicks or sales tricks, but simply to show what window tinting can do for your Brevard County business. 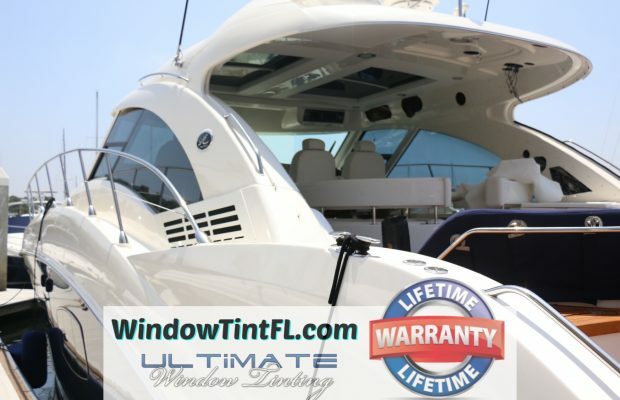 A window tinting job by Window Tint Florida offers your business an advantage you will enjoy every time that hot Florida sun shines down on Brevard County: energy savings! How much do you stand to see your electricity bill drop thanks to less need for air conditioning? On average, Brevard County commercial window tinting jobs actually pay for themselves in just a matter of years or even months, depending on the size and type of business you own or manage. Solar window films can cut out so much of the warming IR rays of sunlight that bathe into your business daily, warming the property up, that many days out of the year you won’t even have to use the A/C system at all – you don’t need to cool down what never heated up in the first place, after all! 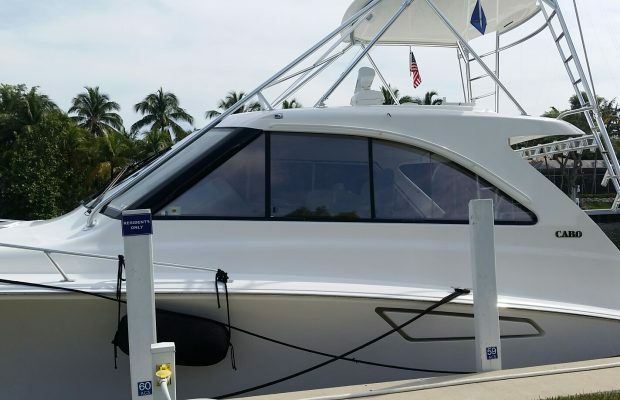 Window Tint Florida uses top quality Huper Optik window films that block those hot infrared rays, keep out harmful UV light, but still let in the pleasant bright sunlight that makes Brevard Country, Florida a great place to do business! Our security window films help keep your Brevard County business safe from break-ins, acts of vandalism, looting, and can even protect the windows against windblown objects hurled aloft by the hurricanes that come passing through. Security window films work by coating the window glass of your business, regardless of whether that means huge glass panes at a retail shop or restaurant, the many windows of an office complex or tower, or just the few smaller windows of your smaller medial practice or law office, to name some of the types of Brevard County customers we have served – with a barely-noticeable yet super-strong layer that will keep even cracked glass bound after it has been damaged. Even when struck repeatedly, a treated window will stay together in one mass, keeping anyone from entering your business to threaten your employees or visitors, preventing theft, and even keeping out rainwater and debris that would otherwise rush in during a violent storm. Especially if you own or manage a Brevard County business with street-level offices, you know how awkward it can be to try to get through the workday when people out on the street can simply look in and see you. Take care of your staff by adding privacy window films to any street-level windows in your business (or tint all the windows if people in other buildings can see down into your workplace) and ensure that your staff are comfortable and relaxed as they work, safe from the unwanted eyes of strangers looking in. Window Tint Florida offers plural options for the business looking to spruce up its look while at the same time reaping the myriad benefits window film has to offer. You can opt for a classic frosted look that will let in light yet provide privacy, you can choose a sleek metallic design, or you can apply colored and patterned window films as well. You’ll be amazed by how much decorative window films can improve the look of your Brevard County business!